We are back with our latest weekly update! This past week saw us work on the UI and tutorials for our upcoming exchange, along with a smooth MetaMask integration and a clean display for users’ pending and fulfilled orders. 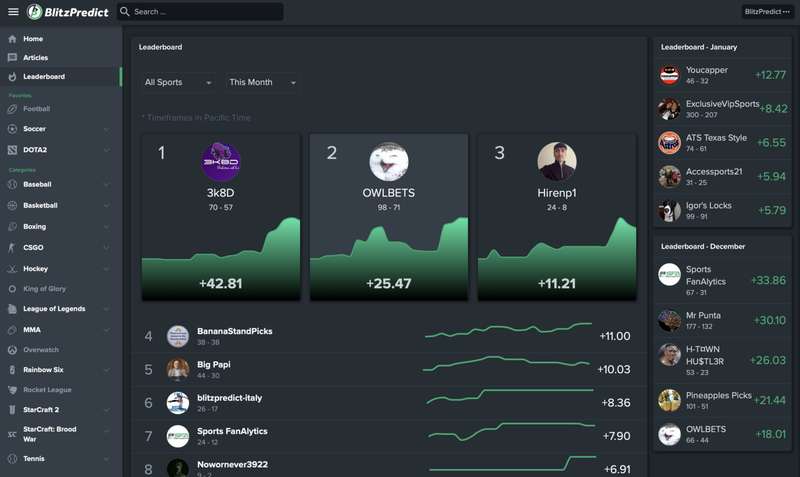 We also worked on finishing up the smart contract integrations between BlitzPredict, Augur, and 0x. We have been making a lot of progress and are on track for a March release on public testnet. Our very own 3k8D is crushing this month’s leaderboard! It doesn’t look like anyone can catch him, but I’ve certainly seen crazier runs. Email experts@blitzpredict.io to join the leaderboard competition! Our latest podcast broke down the remainder of the NHL season. Look for new episodes every Thursday — we aim to keep each episode under 30 minutes and you can find them on iTunes, Google Play, Spotify, and Podbean. That’s it for this week! Make sure to follow us on Twitter, Telegram, Facebook, Reddit, Discord, and Blockfolio for the latest updates as we prepare to launch the exchange. Thanks for your support!